Have you discovered your go-to brunch spot near your community of Houston apartments? If not, you’ve come to the right place. In the blog post below, you’ll find a list of the best brunch spots in the neighborhood. 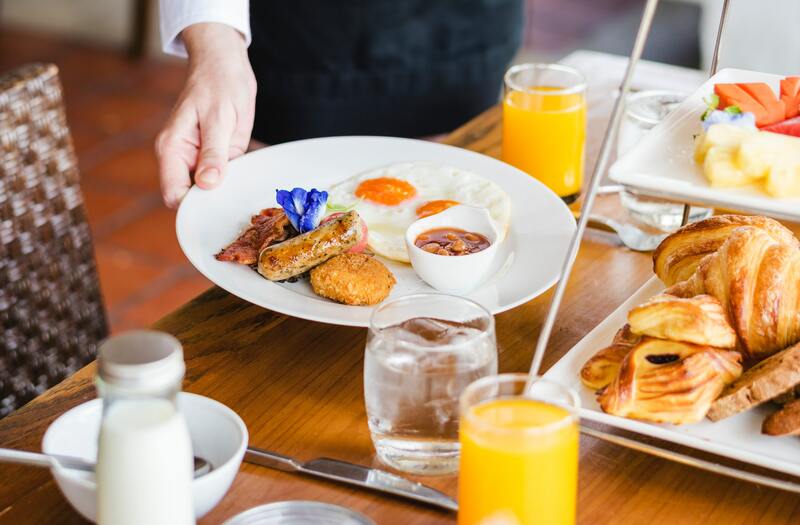 Whether you’re looking for an upscale brunch experience for you and your parents or an affordable spot for you and your brunch crew, you’ll find what you need on the list below. One of the nice things about living in this part of Houston is that you live in an apartment that’s surrounded by top-notch brunch eateries. You don’t have to drive far to find an amazing chicken and waffles dish, a plate of pancakes or a pair of biscuits covered in gravy. Without further delay, let’s dive right into this week’s blog post! Oh, and when you’re done reading through the list of brunch spots below, please feel free to share the link to this page with your friends. Better yet, go ahead and share it with your neighbors at your community of Houston luxury apartments. Remember how we told you that this list would have some upscale eateries? The Kitchen at The Dunleavy is one of those spots. It’s got gorgeous chandeliers hanging from the ceiling, natural light spilling through every window and Victorian decor throughout. As for the drinks, we highly recommend that you take advantage of the bottomless mimosas deal on the weekend. When you get hungry, grab one of their crispy waffles, amazing brunch burgers or highly-Instagrammable pieces of avocado toast. Any good Houston brunch spot worth its salt should have a delicious chicken and waffles dish. That’s what you’ll find at Grace’s, along with a phenomenal selection of seafood appetizer dishes including huge shrimp and perfectly-seasoned calamari. We love this place because of how cozy it is. If you go in the next couple months, Grace’s will probably have a fire burning in their huge brick fireplace. This place is so comfortable that you’ll feel like you never even left your home! This is a Houston staple that everyone should try at least once. Empire Cafe is a small place, but it’s cozy and people seem to genuinely have a wonderful experience while they’re dining there. The Sunday brunch experience is awesome, both because of the massive mimosas and because of the top-notch people watching that this place offers. Don’t let another weekend go by without enjoying brunch at this top-notch Houston eatery! Those are all the brunch spots we’ve got to share with you this week, residents! As always, we greatly appreciate those of you who’ve been coming back week after week to read all the latest brand new blogs from SOLA Uptown River Oaks. We love writing these posts, so we hope you enjoy reading them! Above all else, however, we hope that you get the chance to try some of the top-notch brunch eateries in the area around SOLA Uptown River Oaks! If you feel like you learned something from this week’s blog and you’d like to see the next one right when it goes live on our website, please be sure to bookmark our blog page so you can enjoy easy access to all the future blog posts when they go live. While you wait for those blogs to go up on the site, you can keep up with everything happening at your apartment community by following us on social media! Once you’ve done that, you’ll guarantee that you can always be the first to know about upcoming resident events, special promotions and giveaways going on at your favorite community of uptown Houston apartments.